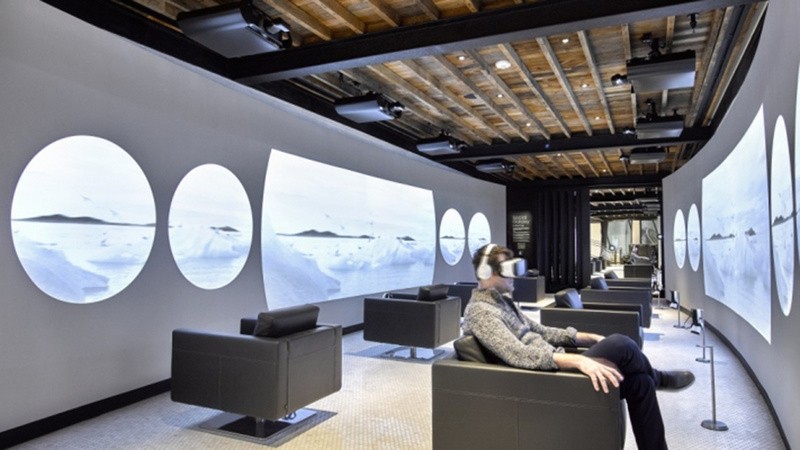 Samsung has launched a state-of-the-art brand experience in the heart of New York’s trendy meatpacking district. 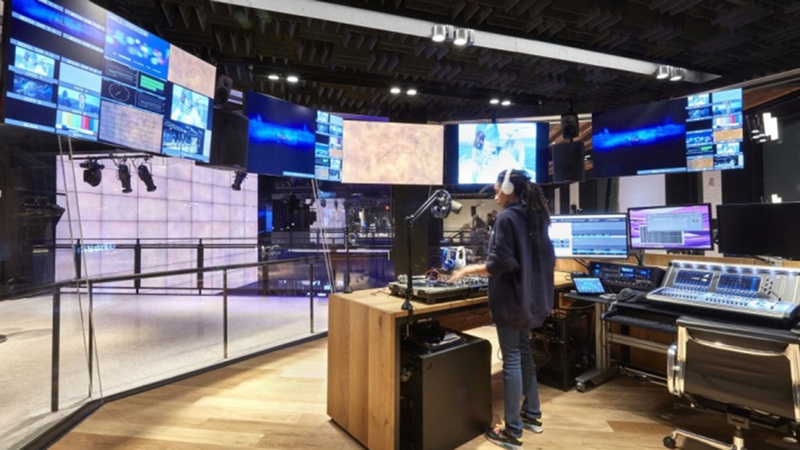 Samsung 837 – named after its street address – will feature numerous installations and touchpoints, including a giant digital screen, auditorium seating for performances and special events, a Gallery featuring curated content experiences and a broadcast studio. The state of the art building aims to be a “creative expression” of Samsung’s brand providing the public with an opportunity to experience the brand’s technology and special events. It will also double as a marketing center of excellence, a briefing centre and customer care center. Samsung is partnering with artists, scientists, thought leaders and causes to create compelling programming. 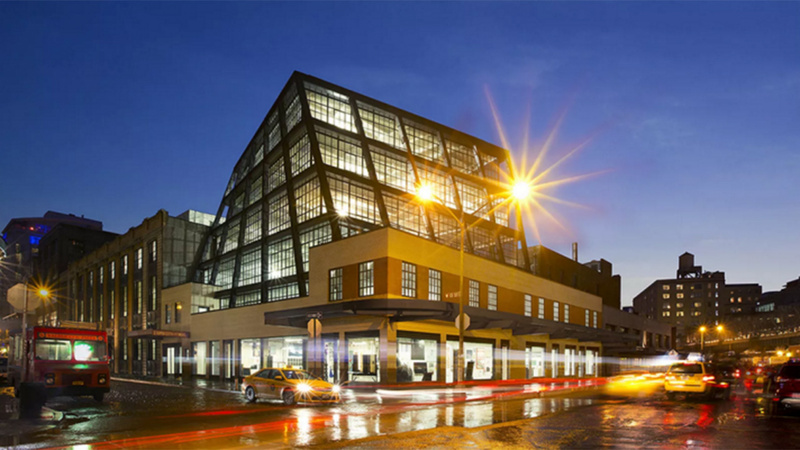 Samsung will also partner with local shops and galleries including Whitney Museum of American Art, Rag & Bone, Kenzo, Black Egg and Smogasburg. 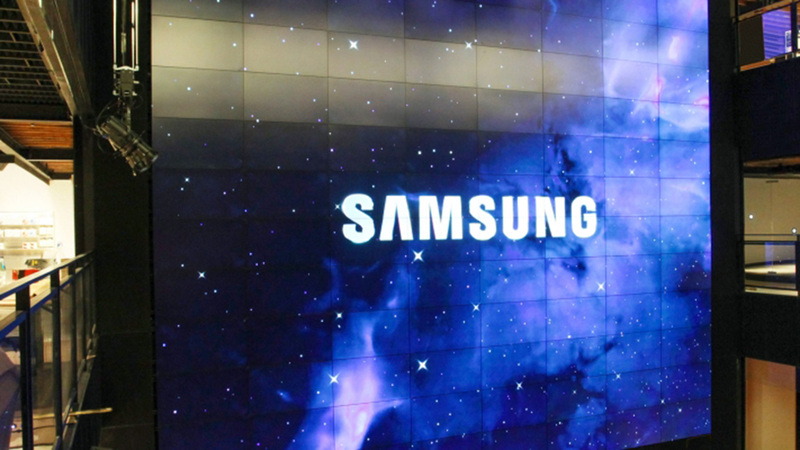 Samsung 837 will feature exclusive programming including live DJs, movie screenings and a private Oscar viewing party. Samsung customers will also have access to live tech support and access to premium events and experiences. Sitting across the road from New York’s High Line park, this is a major play by Samsung. Not only to stamp its brand on the US market but to position it as a leader in innovation, technology and creativity. Samsung has said they set out to creative the future of retail, “which is not retail but experience”. By all accounts the experience is pretty cool. From the Selfie Stations to the VR Tunnel to the giant screen comprised of 96 55-inch panels, which is apparently the world’s largest interactive display. There’s also VR experiences, a café and a Samsung customer service area called The Concierge. Overton told Mashable, “This space is about the collision of culture and technology”, and the store’s location is a key factor in the brand’s ability to pull this off. 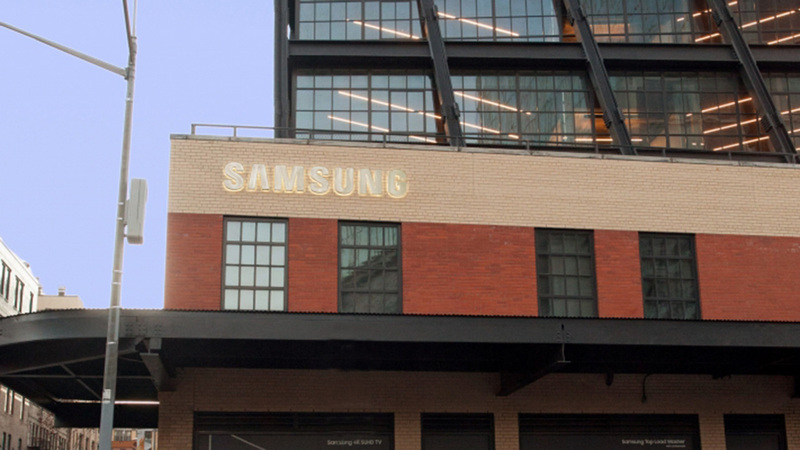 Samsung is certainly not the first brand to partner with artists, restaurants, fashion brands and even an art gallery, but its location and proximity to all of these partners, along with its presence in the heart of the Meatpacking district will certainly help build some credibility. Samsung is no doubt hoping this will help to lend a sense of authenticity to the brands cultural and artistic positioning as it seeks to establish the brand in the US. Samsung has clearly taken inspiration from the Apple Store and Burberry’s flagship 121 Regent Street, but it’s has also gone a step further by bringing new technology and installations into the experience. However, unlike Apple or Burberry, Samsung’s move not to sell products in store is a fascinating move. Customers will be able to experience products, however, all sales will be managed through the brand’s online store, with staff assisting customers through the journey. It’s a bold step and it is certain to pay off. Combining gadgets and technology, food and cultural events is always going to attract crowds, throw in the location and Samsung is certain to attract strong footfall and subsequent sales. Samsung is banking on brand experience becoming the future of retail and this is a very convincing argument. Brands and retailers around the world will be watching with interest.